Award winning animation collective Peepshow have been in high demand this year, working on an array of broadcast animation projects including work for 'Angela Carter: Of Wolves & Women', 'The Flu That Killed 50 Million' & 'Elizabeth I's Secret Agents' for BBC and 'Inside North Korea's Dynasty' for National Geographic. Take a look at their latest broadcast show reel above and see their full portfolio here. Virginie Morgand created these Art Deco inspired covers for Marabout Editions, see more of Virginie’s work in her portfolio here. Rob Bailey worked with Omelet to create a series of nine illustrations for a large scale ad campaign for Guardian Life Insurance. Keep an eye out for Rob's work for the campaign which is out now. Take a look at Rob’s full portfolio here. Hvass&Hannibal created these reworked logos for Apple’s live Keynote event in Brooklyn, New York. Take a look through the rest of their portfolio here. Karan Singh worked with Porsche and Wanderbrief to create these dynamic ‘Future Classics’ posters for the Porsche GT3. 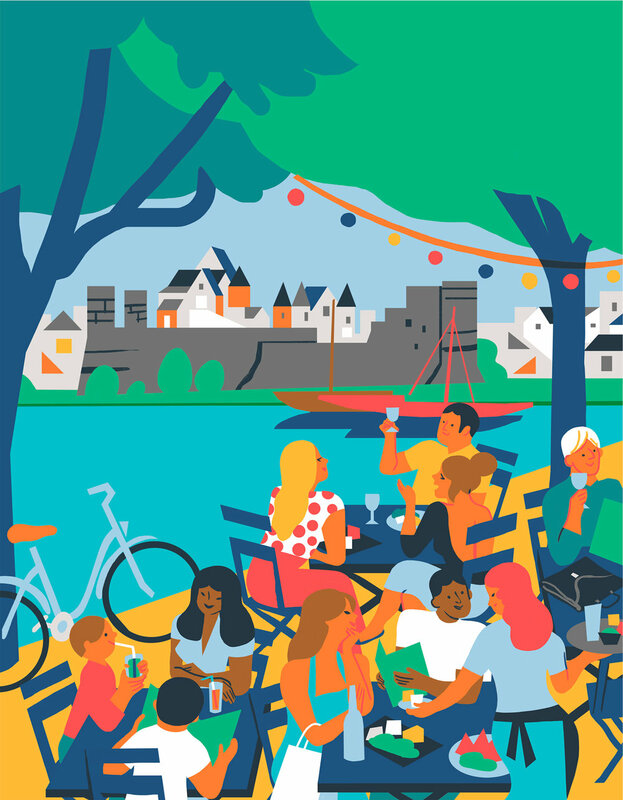 Virginie Morgand worked with Destination Angers on a series of illustrations which were applied to maps, posters, leaflets, magazine covers and billboards, bringing the town of Angers to life for tourists and residents alike. To see more of Virginie’s work take a look at her portfolio here. Lauren Rolwing worked with Siemens and Future Makers to illustrate a series of online feature exploring issues like inclusivity in the work place and gender equality. View Lauren’s full portfolio here. 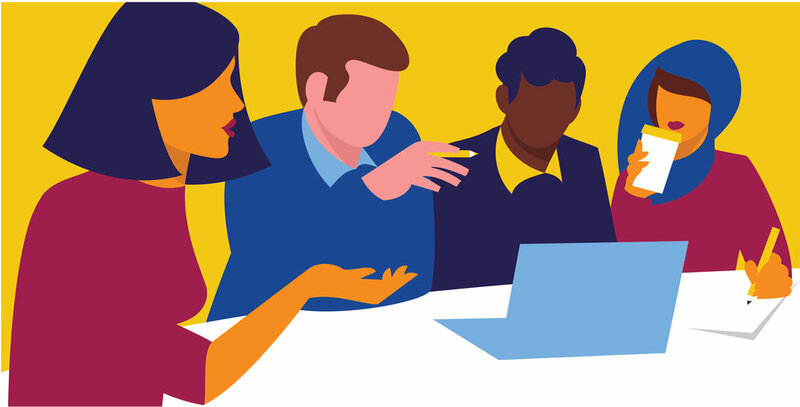 Rob Bailey recently worked with luxury goods group LVMH to create four illustrations for the group's company commitments; Art and Culture, Social and Environmental Responsibility, Leadership and Entrepreneurship and Transmission and Savoir-faire. Kristjana S Williams designs Coldplay's "Butterfly Package"
Kristjana S Williams has created the artwork and a series of animations for Coldplay's latest audio release ‘A Head Full of Dreams: Live in Buenos Aires’. Her artwork also adorns ‘The Butterfly Package’ a special edition release containing the live audio release, a two-hour concert film, ‘Live in Sao Paulo’ and a career-spanning documentary film by acclaimed director Mat Whitecross, charting the rise and rise of Chris Martin and co from rehersals in cramped student bedrooms, through gigs in Camden pubs, to sold out stadium shows around the world. Kristjana's artwork for the release weaves together a host of emblematic visuals from Coldplay's 20 year history including the digitally rendered face from the cover of 2002’s A Rush of Blood to the Head, a street sign from Camden Road (where the band first rehearsed) and an image of frontman Chris Martin with a vodka and cranberry in hand (the drink he turns to when not happy with something he's working on). The Butterfly Package will be released on CD, DVD, vinyl and digital on 7th December. Read an interview with Kristjana about her work on the project on Coldplay’s site here. And take a look at Kristjana’s portfolio here.